I love googly eyes! I secretly want to carry googly eyes around with me so that when the opportunity presents itself, I can eyebomb things. This is one of my favorites from eyebombing.com. Hahaha! Can you imagine walking down the diaper aisle to see this?! 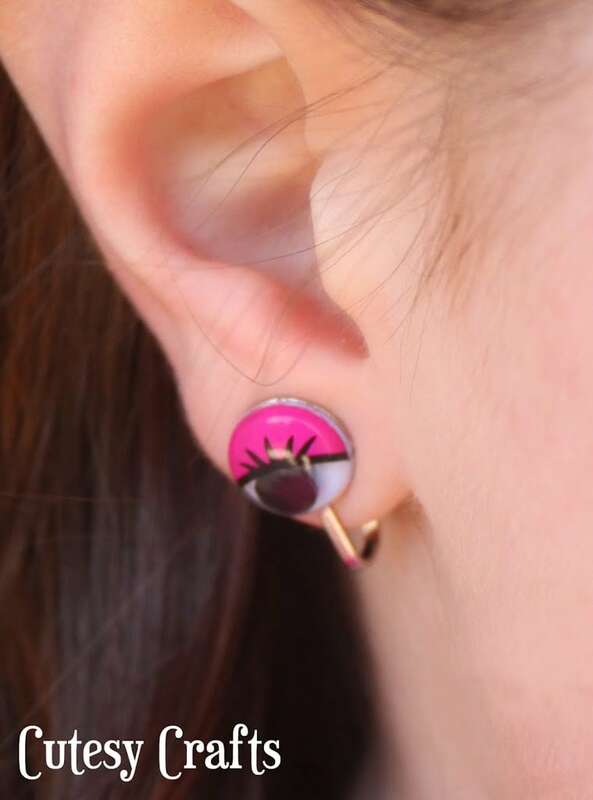 ANYWAY… when my friend’s daughter showed up to Kindergarten wearing the cutest googly eye earrings, I knew I had to make some. I don’t even know who I am going to give them to since Audrey refuses to get her ears pierced. So cute with the eyelashes! I made Audrey some clip-ons, but the clip is too big for the eye. Maybe stick-ons would be a better idea. Are they SO me? Don’t worry, I won’t be wearing them, but I needed someone to model the regular ones. Best part is the little “googly” sound they make when you move your head. 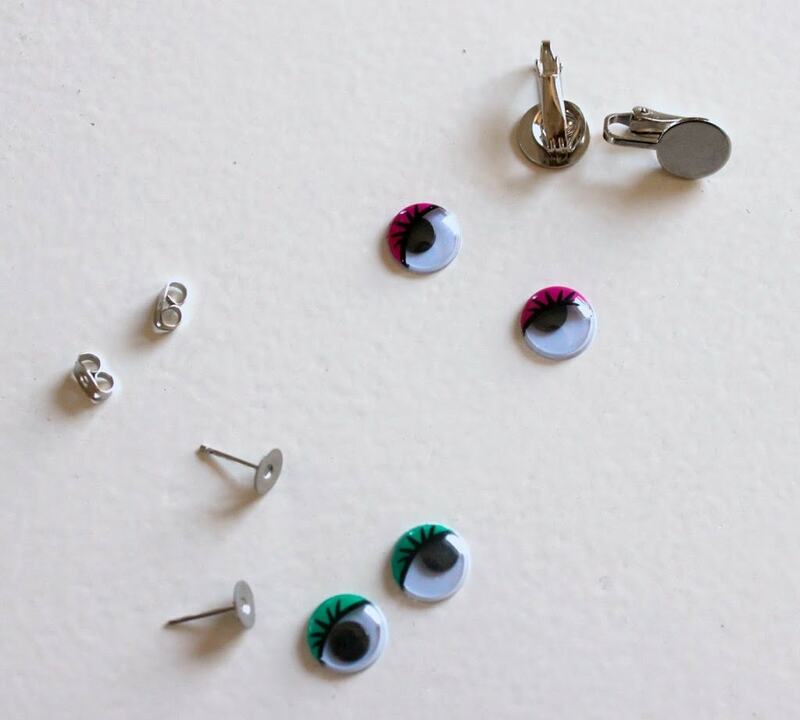 To make them, you just need some blank earrings, some googly eyes, and glue. 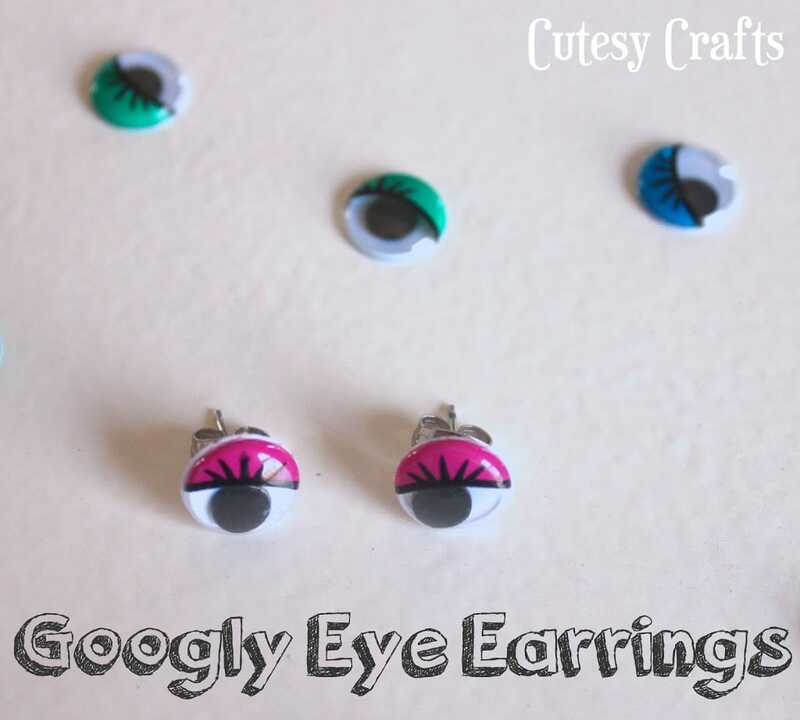 They are making googly eyes in lots of fun colors and styles now! They come with the lashes and color already on them. Lol! The eyes on the diaper box gave me a giggle. I think it would be quite funny to see googly eyes everywhere. 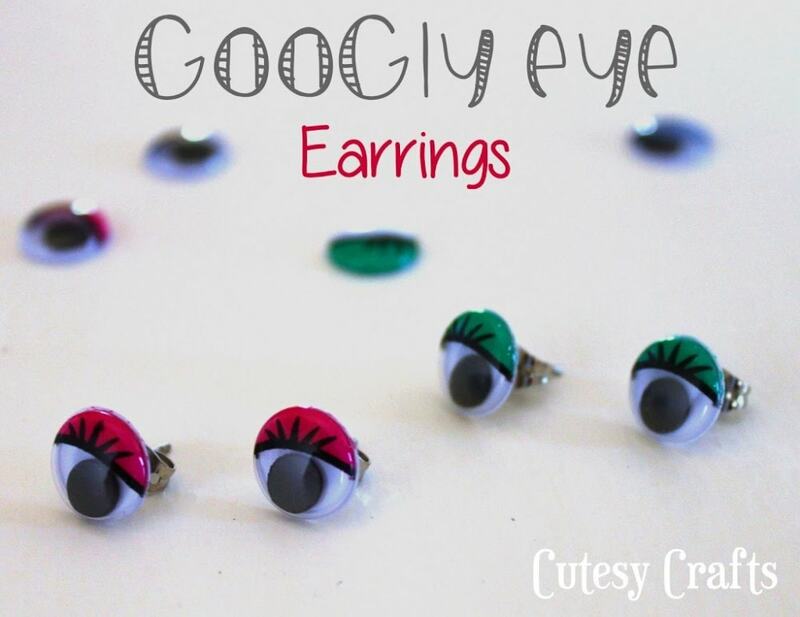 What a great idea to make them into earrings! I don’t think I could bring myself to wear them, but I’m sure there are some daring young girls that would love them! Fun idea! Rofl!! 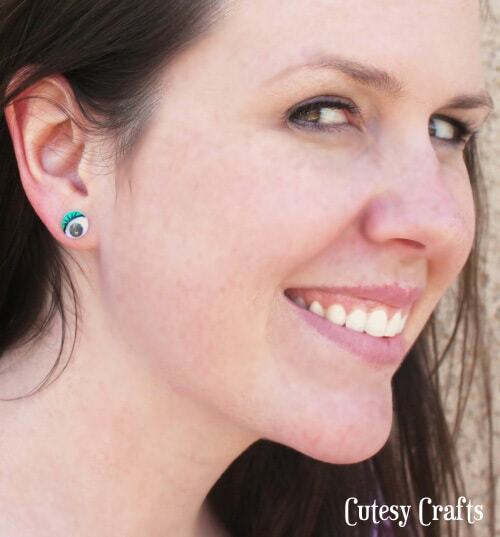 Those earrings are cute- but I want to eye bomb stuff!!!! These are so cute. My daughter will love them. 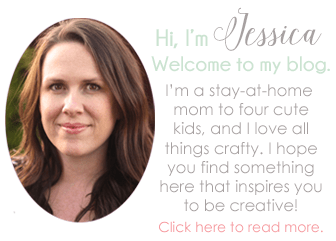 I’m excited to be a new GFC follower. Those are cute! And I had no idea you could buy googly eyes with lashes on them! Those are so cute! Googly eyes make everything more fun! Where did you find the ones with eyelashes on them (or as my daughter would say, the beautiful ones)? Thank you for having a clip version. I don’t have pierced ears and you never quite know how the clip version will look until you see it. 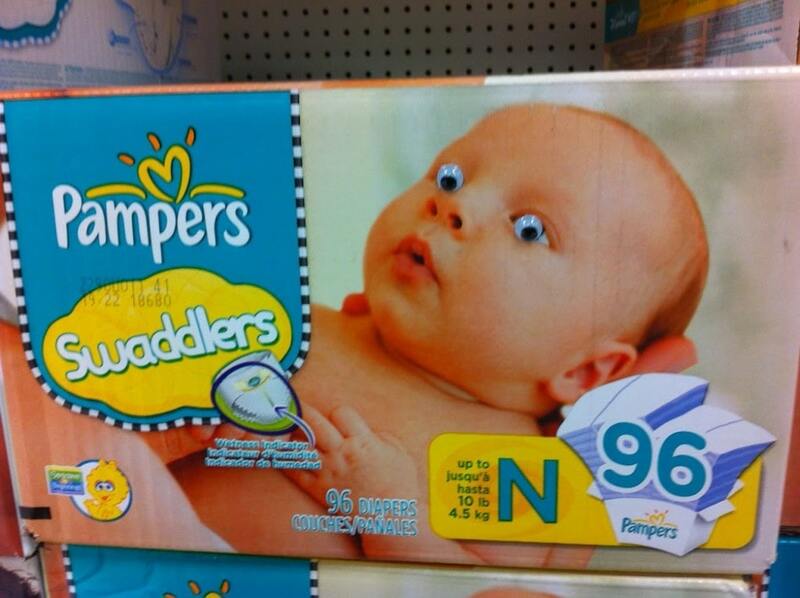 LOL @ the googly eyes on the Pampers baby! Cute earrings! I’m a new follower!